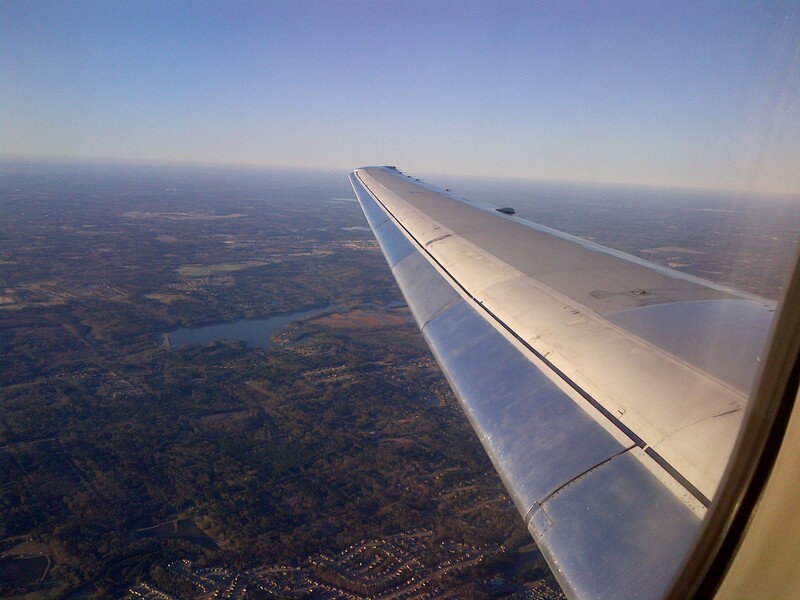 While on a recent flight home from a week of business travel, my usual routine was broken by an observation made on the flight ramp. My heart was called upon to visit the memories of my youth and of my home in Jackson, Georgia. I began to daydream of the hot summers. The summer was a time for play and adventure for the little boys of our neighborhood. My younger brother and I would start the day well fed from a home cooked breakfast our mother had prepared. Fully fueled and ready to go, we would dash out the door and greet the hot and muggy morning and feel the first rays of sunshine on our faces. Our standard attire for the days of summer was simple. We were both clad in blue jean cut-off shorts, usually cut from our oldest pair of blue jeans we had worn the knees out of the previous school year. That was all, no more, no less. That’s all we needed. Our days were filled with outdoor activities, baseball, bike riding, and swimming at a neighbor’s pool, jumping on a trampoline at another neighbor’s house and playing on the track field and in the woods. We were small town kids. From where we lived, we were walking distance to the county high school. Across the street from the high school were the football field and baseball field. Behind the football field was the county school bus shop and the high school gymnasium. The gymnasium was a classic. It was a wooden structure painted white and the floors would make a sweet sound when a basketball was bounced on them. Behind and to the left of the baseball field was the track field. Most track fields you see today are paved with some sort of asphalt or some high tech rubberized composite surface, but our track field back then was dirt. It was hard packed good old Georgia red clay. 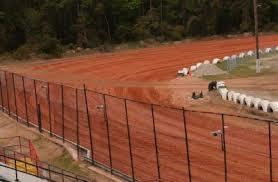 We would go there and run and play on the track and the grass infield. Particularly fun in those days would be racing around the track on our bicycles. 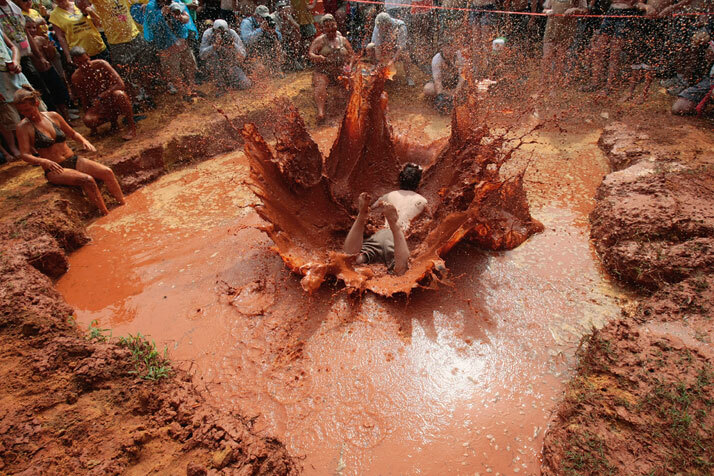 Some days, after a good summer thundershower, we would go to the track field and engage in the finest of mud sports. After some of those rains, there would be beautiful rust colored mud puddles around certain areas of the track field. Little boys can have loads of fun with a little mud and bicycles. We would also race around the track on our bikes and see who could make the highest “rooster tail” of mud from our back tires. The boys who didn’t have a rear fender guard would usually win that prize. They would also be the ones who got the most mud splattered on their backs. But it didn’t matter, by the end of our playing session; we would all be covered from head to toe in red mud. After we were all played out, we would come home and go into the back yard and turn on the “hose pipe”, our affectionate name for the garden hose. We would start by cleaning off our bikes. The spray of the hose would begin to peel away the red mud and deposit it on the lush green St. Augustine grass of our back yard. After we finished our bikes, we started on ourselves. We did pretty good getting ourselves clean, besides the cool water from the hose felt good on our sun tanned frames. We would get pretty clean, but there was always a tinge of the rust colored clay around our fingers and toes. Our Aunt Carolyn would always say that I and my little brother looked like a couple of little blonde haired Indians. 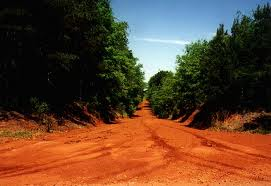 The summer sun would lighten our hair and give us a tan that was sometimes accented by the faint hint of red clay. As a business traveler and frequent flyer, I usually have an aisle seat on the airplane. I ask for an aisle seat to have a little more elbow room for my larger frame and I can extend one of my legs into the aisle. But on this trip, the late scheduling of the flight forced me to take a window seat. As I settled into my seat, I was hoping that the person who sat next to me would be of small frame to give me a little more elbow room. Luckily for me, my wish came true and a lady sat down next to me. I then began to get my gear ready and settle into my flying routine which consists of listening to music on my MP3 player and doing crossword puzzles or reading a magazine or a book. The lady next to me pulled out her Kindle and had it standing by. I don’t have a Kindle or a Nook, I kind of still prefer to read a real book and feel the paper as I turn the next page. I looked forward to going home. I had had enough of the cold and snow in the windy city of Chicago. As a frequent flyer, I was one of the first people to board the aircraft. My seat was 18E. On an MD-90 jet, seat 18E has a perfect vantage point of the conveyor system that is used to load one of the cargo areas of the plane. I looked out at the conveyor and saw the luggage and other cargo that were slowly inching their way up to the cargo hold and disappearing below my feet. I would be taken aback by the next item loaded on the conveyor. It was a rectangular box of wood and cardboard. I pondered only a moment on what was in the box, when I saw the orange label that indicated human remains. My heart fell as I realized that the earthly remains of one of God’s children were going home. The box sat on the conveyor for some time as the ramp workers were diligently preparing to receive it into the cargo hold. As I continued to look down, only a few feet away, I could read the name of the deceased. For propriety and anonymity, I will call her Jane Doe. Jane was travelling from a city in Wisconsin to a small town in Alabama. I was compelled to write her name down on a page from my crossword puzzle book. I kept looking out the window down at Jane until she disappeared below my feet into the cargo hold. I then closed my eyes and said a silent prayer for her and her family. From that moment on, my trip had gone from routine to reverent. I was having a communion with God and I experienced a solemn peace. I would not look at a book, I would not do a crossword puzzle and my MP3 player would remain silent for the entire flight. My trip would be filled with thoughts of Jane Doe and her family and her life and I would ponder my own as I peered out the window at the landscape of the earth. As we left the cold snow covered cities of the upper mid-west, my thoughts drew me to the hot summer days and visions of my home in Jackson. I was thinking of home, perhaps because Ms. Jane Doe was on her final trip home. It was a pretty clear day; I could see the landscape below throughout my flight. Sometimes the cloud cover prevents you from seeing the earth below. As we flew farther south, the snow cover began to disappear. The fields and farms of the lower mid-west were colored with hues of light brown and flat greens, as if waiting for spring planting and rebirth. As I continued to daydream looking out the window, I could see the vistas on the horizon change before my eyes. The flat areas of the mid-west gave way to the low rolling hills covered with green and brown forests. Rivers of blue and brown snaked across the landscape offering a beautiful view of our waterways. But the most beautiful sight was yet to come. As a veteran of so many flights now, my internal radar could feel what the next view would be. From 30,000 feet, I could see the red clay and southern pines of the Piedmont region of Georgia. I was almost home. And soon, Ms. Jane Doe would also be home. As we made our approach into Atlanta, the red hues of dirt roads, baseball fields and exposed tracts of earth stood out as beacons calling me home. They also called the memories of my youth. On our final approach, we were coming in for a landing from east to west. 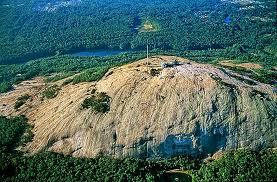 Looking out behind me, I could see the majesty of Stone Mountain. To my right, I could see the skyline of Atlanta and looking out to the northwest, I could see Kennesaw Mountain. When we finally touched down, I said one last prayer for Jane Doe and her family. When I got home from my trip, I hugged my wife and daughter a little closer this night. I was glad to be home. A few days later, I would Google Jane Doe and her little town in Alabama. I would learn that she was 72 years old and had succumbed to cancer. She was surrounded by her family at her bedside when she died. She had loved going to flea markets and spending time with her grandchildren. I felt like I knew her. Her body is resting now beneath the earth in her childhood home, but for a brief time, I felt her spirit with me as I soared through the sky at 30,000 feet and gazed down at the red clay of home.